Wondering how sandblasting might be a benefit for your metal items before they undergo the powder coating process? Here is a brief overview of sandblasting, how it works, and how it factors into the powder coating process. Sandblasting is a method for preparing a surface for powder coating that involves de-scaling and removing oxides, old finishing, and other surface contaminants from metals. Before anything is sandblasted, it is thoroughly inspected for oils, grease, dirt, paint, rust, and corrosion. These are things that will work to contaminate a powder coating upon contact, thus interfering with the powder coating process and weakening the bond between the powder and the metal. Sandblasting works to remove these contaminants by using a finely ground silica sand to clean a metal surface of any unwanted surface materials and slightly etch it. Sandblasting involves propelling very finely ground bits of silica sand at an extremely high speed with an air-powered pressure gun to clean and etch a metal surface. There are various types of pressure guns that serve this purpose, including pressure blasters and siphon sandblasters. But while the physics between them might differ, the principles behind them remain the same: propelling finely ground silica sand to clean and abrade a surface of any rust, paint, or other unwanted materials. The etching or scratching of the surface created by sandblasting enables a better adhesion of a powder coating. As the powder coat is applied to a metal surface after sandblasting, the powder flows into the high and low points of the surface profile, adhering much better than it would have had the surface been kept completely smooth. Without this type of surface profile, a powder coating could simply peel off of a surface. While sandpaper could theoretically provide the same etching and surface profile that sandblasting could, sandblasting is able to reach places that sandpaper simply can’t, and it creates a uniform and textured finish all over that makes for a perfectly even application of powder coating. Sandblasting is the fastest and most effective means of preparing a surface for the powder coating process. Other related processes of media blasting do exist, all of which use other abrasive materials such as soda, glass, beads, walnut, green diamond, and corn cob to prepare a surface for coating. 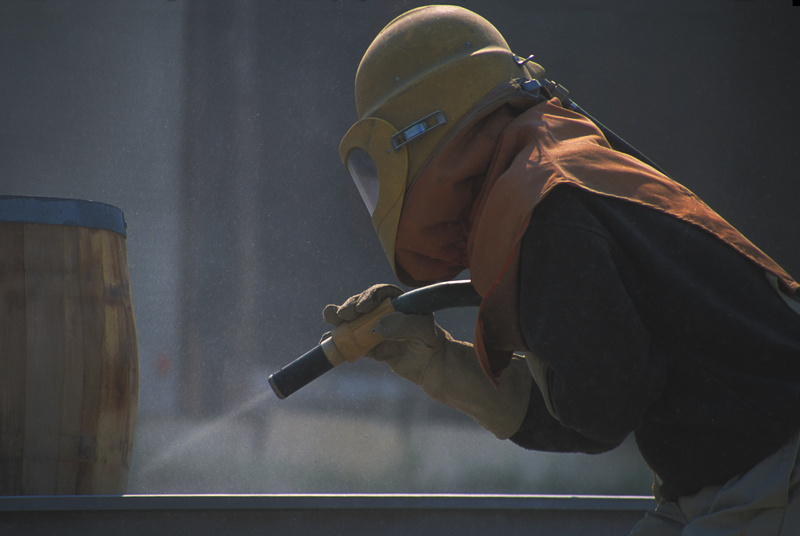 Media blasting is more effective for preparing certain surfaces, such as thin metals that could be warped during the sandblasting process or surfaces that might be damaged very easily.